One at a time, soak both sides of bread, then place in a hot well-buttered skillet.Cook on each side 3-4 minutes or until golden brown. Serve hot sprinkled with Confectioners sugar or maple syrup, or jam. Wow, never thought of putting eggnog into my French Toast mixture. I think I may have to try this tomorrow morning. I love cooking with eggnog, it gives recipes a wonderful taste. 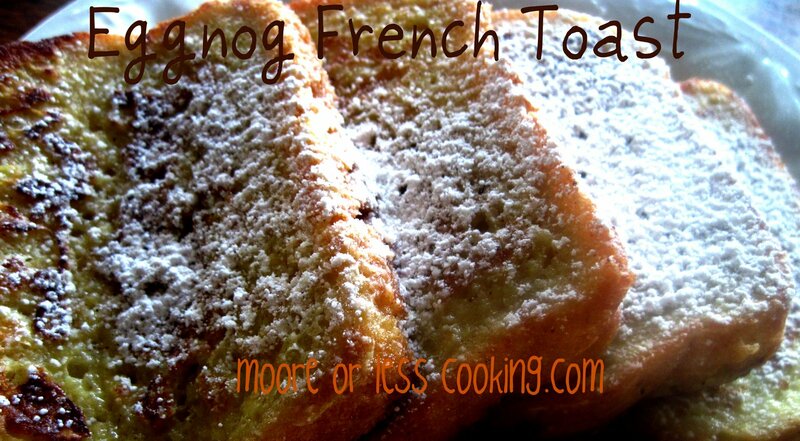 I’ve never tried it with french toast, now I will!